Update on Breedlove for Africa | Breedlove Foods, Inc.
LUBBOCK, TX (May 5, 2016) - Breedlove's Director for Africa Relations, Mark Wentling, was interviewed on the eHealth Radio Network and the Health News Channel by host Eric Michaels. In the interview, which was podcast on May 4, 2016, Mark provided descriptions about our Breedlove for Africa Initiative and fundraising campaign. Please listen to the interview and read more about Mark's career-long experience at the eHealth Radio Network site. The eHealth Radio Network also included a great bio on Mark, who brings exceptional in-the-field experience from working on the African continent and with several African nations. 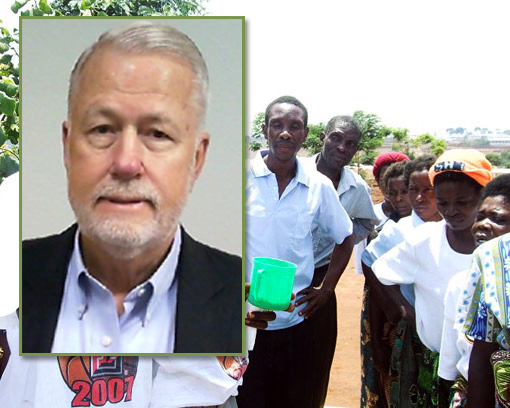 He worked with USAID for many years which provides invaluable expertise for Breedlove's mission. To say that Breedlove is fortunate to have Mark's gifts at our service is a huge understatement. For anyone who wants to donate to Breedlove for Africa, please accept our gratitude. We greatly appreciate the outpouring of financial support our programs receive from the Lubbock community and beyond. Donations can be made online or mailed to our corporate office: 1818 N. Martin Luther King, Jr. Blvd., Lubbock, Texas, 79403, or by calling 806.741.0404. Breedlove provides food for the world's hungry, from the United States to over 65 countries around the world. Our foods are utilized in educational and medical institutions, nursing homes, in disaster relief operations, and abroad, where people are vulnerable to food insecurity. Keep up-to-date on Breedlove's latest developments & missions - enter your e-mail to subscribe to our newsletter. Address: 1818 N. Martin Luther King, Jr. Blvd. Breedlove offers translation of this site through Google Translate as a convenience to site visitors. Machine translation of this type is meant only to provide the basic "gist" and meaning of content. The translation may be imprecise, and can miss certain nuance and meaning in the site's original English text. In any event, the meaning as represented by the site's original language of development - English - shall prevail regardless of text as rendered by the Google Translate engine. © Copyright 2019 - Breedlove Foods, Inc. All Rights Reserved.